In this blog-post tutorial, you will learn how to create an Action and its Menuitem in an Odoo 8 / 9 /10 / 11 / 12 module. Here we’ll learn about the Window Action. What is Window Action in Odoo? Window Actions are used to present visualizations of a model through views. A window action defines a set of view types (and possibly specific views such as Tree, Form, Search) for a model (and possibly specific record of the model). 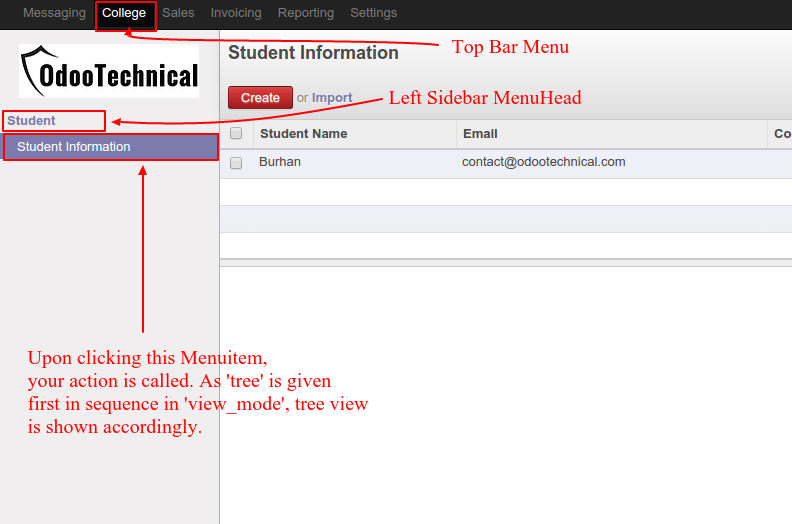 Earlier in my previous blog-posts, I created a student model, then I created its Form View followed by Tree View. Now in this tutorial, I will create Action and Menuitem for it. Action and Menuitem code in Odoo 8. Window actions are stored in database table ir_act_window. So first, write record tag and give unique id and ir.actions.act_window model. See the above code for reference. Next, the string given in ‘name’ will appear on the menuitem (if the string is not provided in menuitem). Here I have given ‘Student Information’. Further, very important, provide your model name in ‘res_model’. This will link your action with your model. Here I have given ‘student.student’. ‘view_mode’ will give sequence to your views. Here tree and form view will be displayed first and second, respectively. When is action called? The action is called when you click on its related menuitem. Provide a unique id in ‘id’. Provide the id of the parent menu in ‘parent’. Here I wanted to show ‘Student’ under ‘College’, so I wrote the id of ‘College’ menuitem in ‘Student’ menutiem. Write the id of the action just created above inside the ‘action’ attribute. Here, ‘action_student_information’. 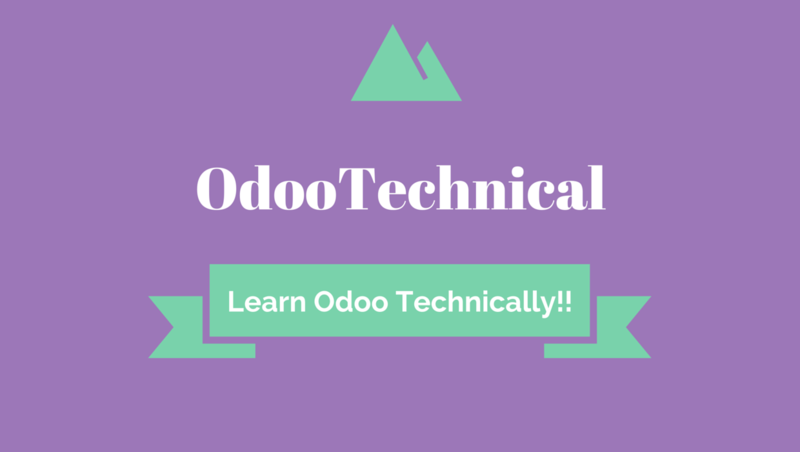 Hope you learned how to create an Action and Menuitem in Odoo module in this tutorial, your reviews/comments/suggestions/doubts are most welcomed, please comment in the section below, and subscribe to the newsletter to receive timely future updates of this blog. I will update how to create Search view soon. Thank You Iqra. Keep it up. Hello Yonas, Did you link your menu with an action? Try linking it and check if it appears.